The visualizations in the report are interesting. In all, the nine-month scanning project found 420 million IPv4 addresses that responded to probes and 36 million more addresses that had one or more ports open. A large percentage of the unsecured devices bore the hallmarks of broadband modems, network routers, and other devices with embedded operating systems that typically aren't intended to be exposed to the outside world. The researcher found a total of 1.3 billion addresses in use, including 141 million that were behind a firewall and 729 million that returned reverse domain name system records. There were no signs of life from the remaining 2.3 billion IPv4 addresses. Continually scanning almost 4 billion addresses for nine months is a big job. In true guerilla research fashion, the unknown hacker developed a small scanning program that scoured the Internet for devices that could be logged into using no account credentials at all or the usernames and passwords of either "root" or "admin." When the program encountered unsecured devices, it installed itself on them and used them to conduct additional scans. 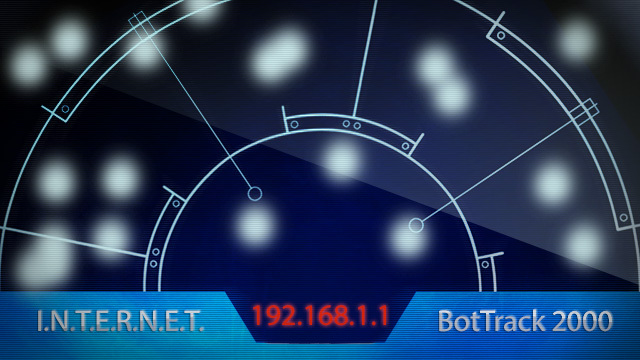 The viral growth of the botnet allowed it to infect about 100,000 devices within a day of the program's release. The critical mass allowed the hacker to scan the Internet quickly and cheaply. With about 4,000 clients, it could scan one port on all 3.6 billion addresses in a single day. Because the project ran 1,000 unique probes on 742 separate ports, and possibly because the binary was uninstalled each time an infected device was restarted, the hacker commandeered a total of 420,000 devices to perform the survey.